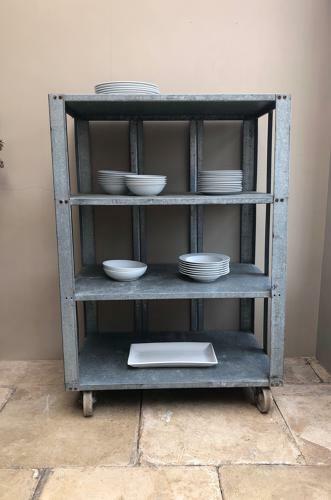 Lovely and very useable Industrial Galvanised Shelving Unit on Large Castors. Dating to the third quarter of the 20th Century I had to buy it as its such a trendy, very useful piece. Courier or collection. UK £45.